When writing term papers, abstracts, diplomas and other scientific papers it is often necessary to add various formulas in a text Word format. If a fraction you can write with slash, integral, no additional options can not be inserted. And then, without the knowledge of certain techniques is not enough. If you have Word 2007 or newer, then formulae can be inserted in the following way. Place the cursor in the document where the text needs to be located one or the other formula. Go to the tab called Insert. On this tab, locate the column Symbols. There is a Formula button, click on it with the mouse. On the taskbar tab appears in the Working with formulas Designer. In the document window appears in which is printed the desired formula. Under Working with formulas – Designer, choose the necessary formula, e.g. a Radical, then Square root. In the displayed window appears the symbol √, place the cursor in the dotted square and type the desired value, for example √4. Then hit Enter or put the cursor over the window border print formulas. Mode of Operation with formulas – Constructor is terminated automatically switches to the Home tab. You can continue to print text. If you have Word 2003, then printing the formulas will be executed in the following way. Click the Insert tab and choose the option called Object. In the dialog box, on the Create tab, locate the object type Microsoft equation 3.0. Click OK. A window appears where you can select certain characters for different formulas. Further, the process of writing formulas identical to the above algorithm starting with step 4. In some cases, the plug-in Microsoft equation 3.0 may not be installed. Therefore, to print formulas, you'll need to upgrade Word customizations from your original installation disk to add the equation Editor. Printed in Word formulas can be edited. To do this, select the object with the mouse cursor and make changes. Printed to remove the formula, highlight it and press Delete. In a text editor Microsoft Office Word to work with formulas organized with the help of a special add-in called Microsoft Equation Editor. 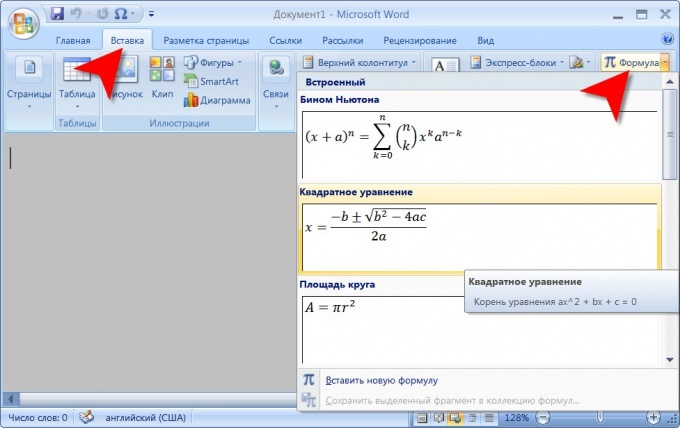 Starting with Word 2007, it is fully integrated into the editor, does not require additional installation, and in the Russian version is called "Designer formulas". The procedure of inserting and editing formulas, the complexity is not. text editor Microsoft Word 2007 or 2003. Place the cursor in the position where you want to insert a new formula. If you are using Microsoft Word 2007 click the Insert tab on the ribbon Microsoft Word 2007"ribbon" manufacturer called menu at the top of the editor window). The rightmost group of commands on this tab ("Characters") there is a button "Formula". You can enable the "formulas Designer", if you click the button. If to click a label placed at its right edge, then unfold a list with the relatively small selection of the preset formula. Sometimes it's easier to choose one from the formula list even if it does not fully coincide with that which you want to insert. In this case, the "equation Builder" is also included, but the formula is already populated with symbols and formatted in a specific way will not have to start from scratch. Use templates, lists, special characters, samples of the formats in the menu Designer formulas to create new formulas or edit is selected in the list. Add designed the formula to the collection, if it is assumed that in the future it will from time to time be reused. To do this, select the formula and again go to the Insert tab. On the button "Formula" open the drop-down list and select the bottom line - "Save selection to a collection of formulas". If you are using Microsoft Word 2003 equation editor (Equation editor) should be installed before you start work with formulas - it is not installed together with a text editor. After installation for ease of use you need to create a menu link to it. To do this, open the menu section "tools" and select "setting". Go to the tab "Command" and click "Insert" in the Categories list. Opens the advanced window in the right pane, which it is necessary to find the "equation Editor" and drag and drop in the menu editor. The procedure of use of this component and its functionality is little different from Microsoft Word 2007. 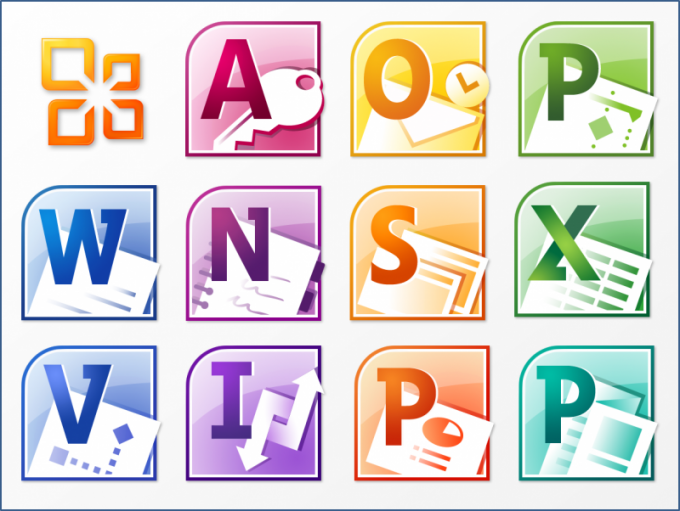 To insert and modify formulas in a word processor Microsoft Office Word is a special add - in editor of formulas. In versions of Word 2007 and Word 2010 it is part of the basic program and is installed by default along with the installation of the main program. For use in earlier versions, required to perform some preliminary manipulations. If you are using a version of Microsoft Office Word 2003 and earlier, editor of the formula has not been installed, then do it now. After installation it is better to create additional item in menu of the word processor to simplify access to the editorfrom formulas. To do this, select "settings" by opening the Word menu section "tools". Click the tab "Commands" in the list "Category" select "Insert". In the right pane of the window that appears look for the item "the Editor of formulas" and drag it with the left mouse button at the appropriate place in the menu of the text editor. If you want to change already inserted into a text document formulas, it is enough to click her mouse, and Word will automatically turn the editor of formulas. If you are using Microsoft Office Word 2007 menu will be added another tab called "Designer" placed under "the Editor of formulas". Clicking on this new tab, you can start editing the formulas. If you want to create new formulas, you must first set the cursor to the desired location in a text document. Then click on the "Insert" menu in word processor and click the "Formula", which is placed in the group of "Characters" - the extreme right in the menu section. This will start the editor of formulas. But you can't start creating formulaswith zero, and not the actual click this button Formula, and a separate section with a checkbox at its right edge. Then, from the button drop list with a set of predefined formulas, from which to choose similar to the one that you need to enter. Select it, and then also turn on the editor, but in this case you need to customize an existing formulafrom a template. 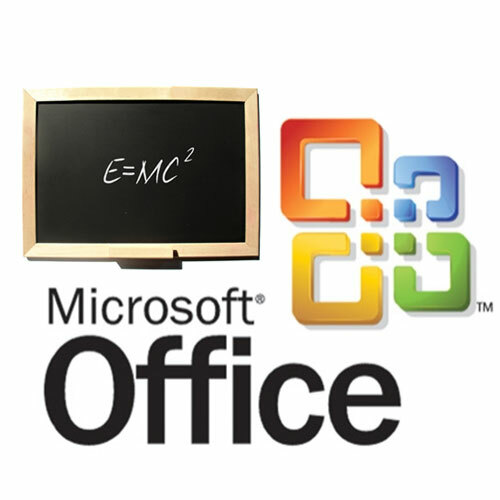 Work with formulas and equations in office Word, included in Microsoft Office, provides a special utility "equation Editor" that is part of a Math Type program. Click "start" to bring up the main menu system and navigate to "All programs." Point to Microsoft Office, and run the Word application. Open the context menu of the toolbar, click the right mouse button and select "settings". Click on the "Commands" dialog box settings, and then click "Insert" in the tab "Categories". Select "equation Editor" and drag the item to any free place on the toolbar of the application window of Word. Close all open Windows programs if you cannot discovery utility "equation Editor" and expand the "add or remove programs" in control panel, operating system double click to install the required tool. Specify the application in the list of installed programs and click "Replace". Enter the command "Add or remove features" and confirm your selection by pressing the "Next"button. Apply the check box on the "Advanced customization of applications" and confirm the command by pressing the "Next"button. Open menu "Office Tools" and select "equation Editor". Select "Run from my computer" and shut down the program. Return to the main menu "start" and click "Execute" to edit a parameter scaling the utility of "equation Editor". Type regedit in the Open box, and perform the simultaneous pressing function keys CTRL+A. Enter the forceopen value in the text field of the search window and click OK to confirm the command. Open element found forceopen double click and change the setting to 1. Quit registry editor, and return to the main window of the office application Microsoft Word. Click the command button the equation editor in the toolbar and adjust the scale for ease of introduction of formulas.